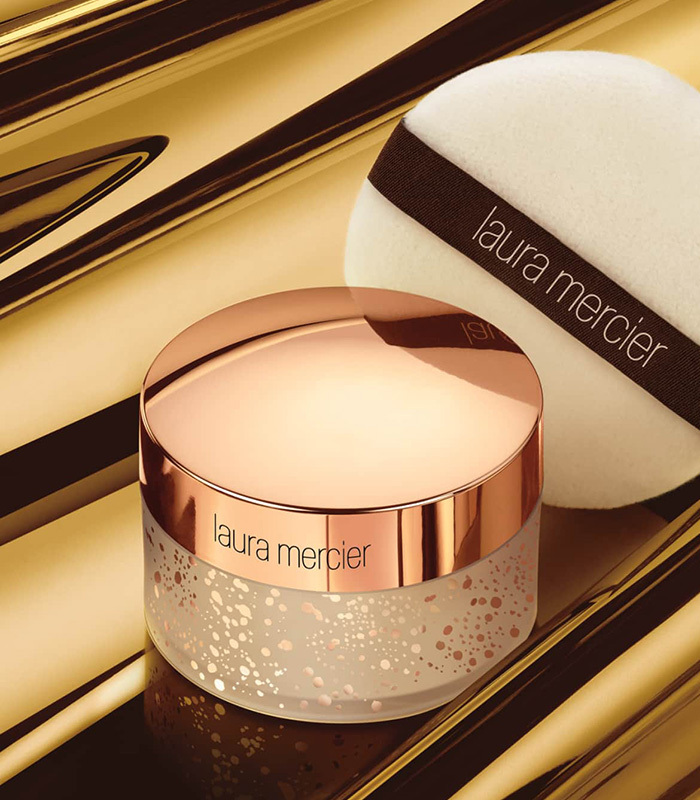 Home Beauty Laura Mercier Holiday 2018 Collection & Sets SHOP NOW! 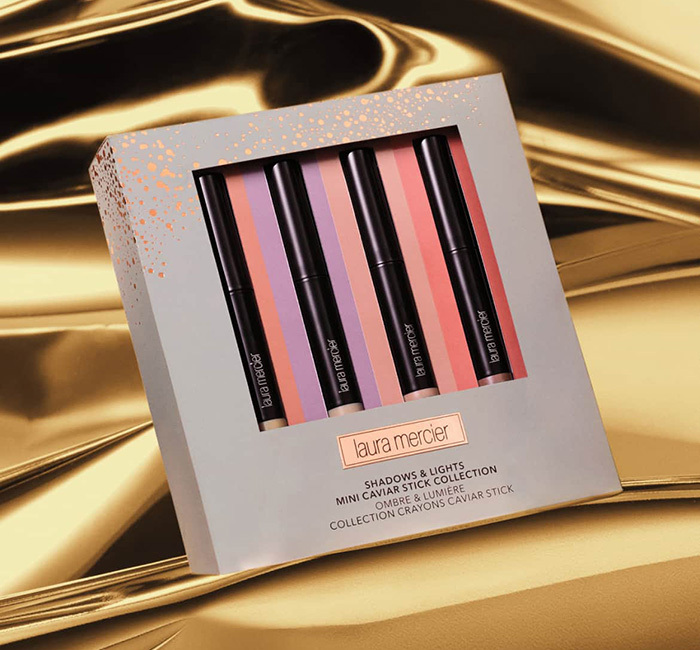 Laura Mercier Holiday 2018 Collection & Sets SHOP NOW! 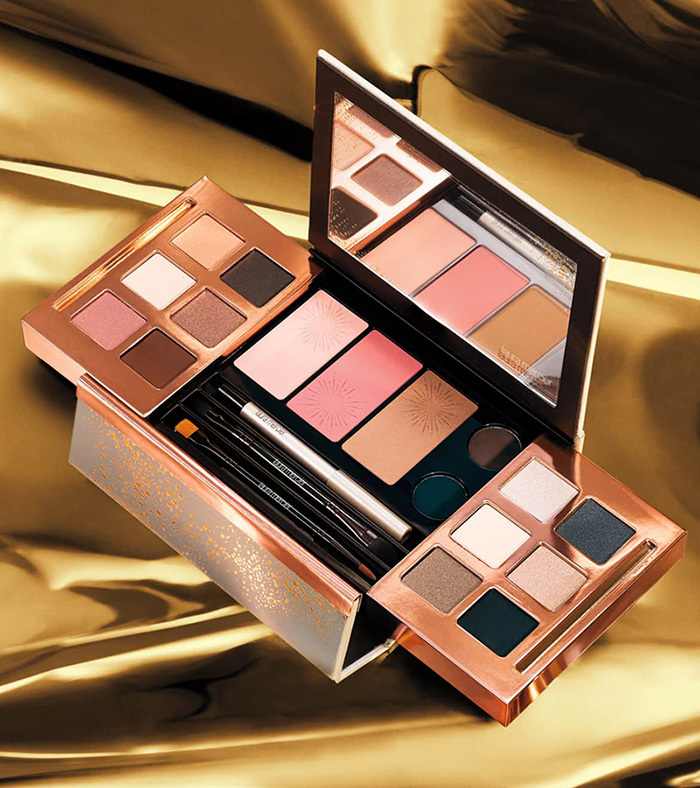 Laura Mercier Holiday 2018 Collection has just launched now at Nordstrom! 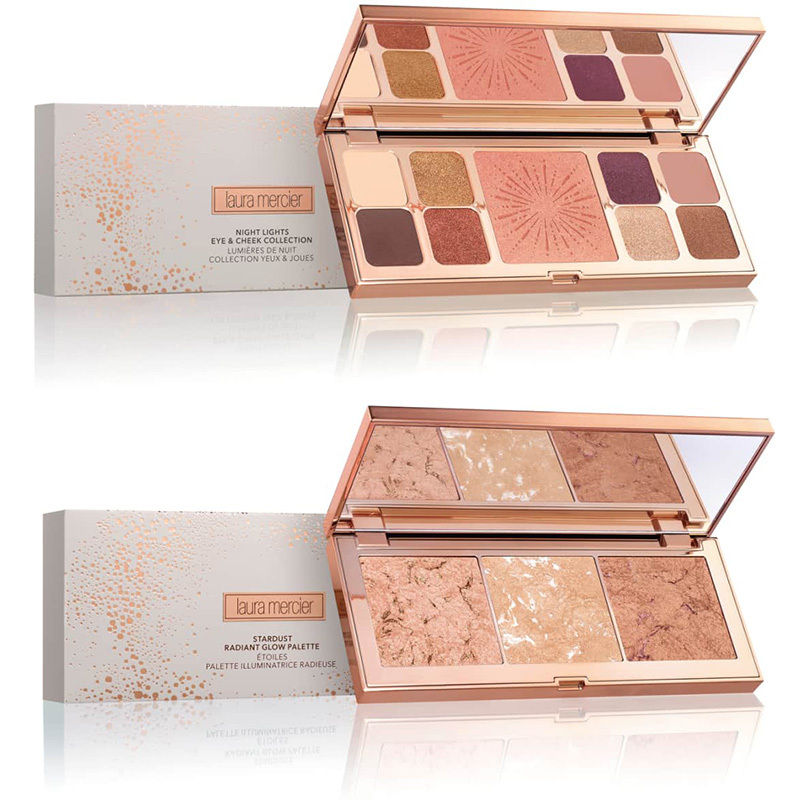 The collection features only limited edition and a bunch of new palettes and sets. Check all the goodies after the jump! 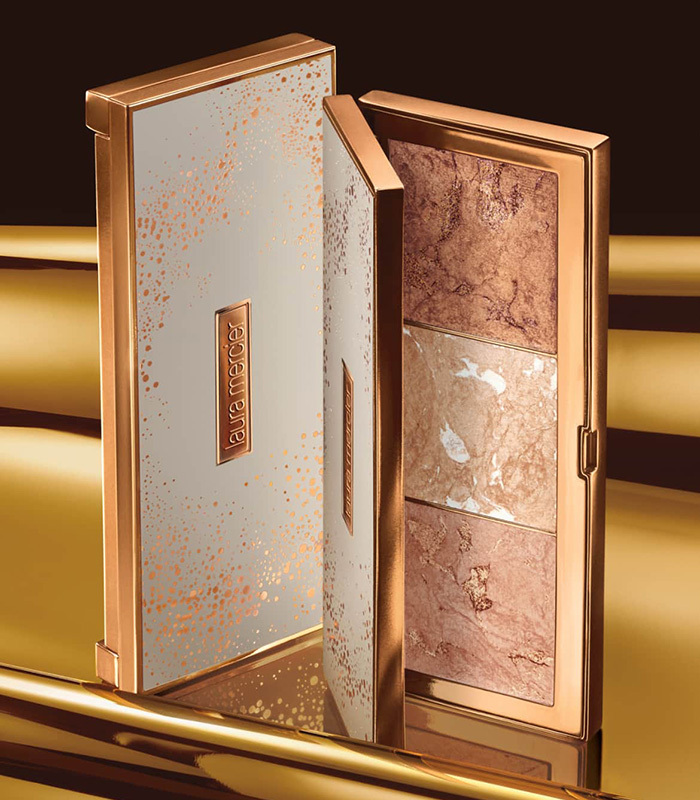 A limited-edition trio of luminous, buildable and versatile highlighters elegantly presented in a mirrored palette. These face illuminators come in an innovative formula that is a smooth, flat baked powder that allows for even pick-up. Each shade highlights the skin with light-reflecting pigments for a multidimensional, luminous finish designed to complement all skin tones. A limited-edition eyeshadow palette featuring a curated collection of 12 shades ranging from light to dark and cool to warm tones. The mirrored palette features six matte and six sateen shimmer shades. The versatile palette can take your eyes from neutral day to sultry night. Each universally flattering, light-reflecting sateen shimmer shade adds dimension and enhances brightness. A limited-edition collection featuring 12 eye colors, three cheek colors, two tightline cake eyeliners, a long-wear crème eye pencil and two travel eye brushes. 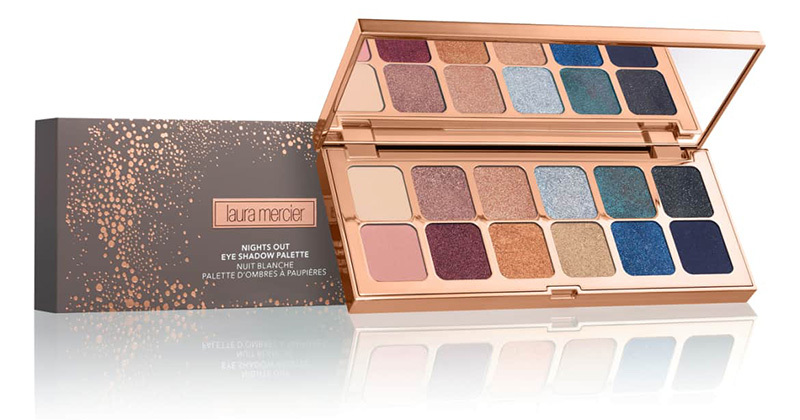 This palette features eight eye colors with ultra-refined, soft and luxurious formulas that help you go from a natural daytime look to a sultry, smoky eye for night. Second Skin Cheek Color, a light-as-air, velvety powder blush that sweeps on silky sheer color easily and evenly provides natural color with radiance. Pret-a-Powder is a silky, lightweight setting powder with sheer coverage. The cult-favorite bestseller feels luxuriously dense in the jar and incredibly soft and silky-light on your skin. It sets makeup without adding weight or texture, and its soft-focus effect subtly blurs the look of lines and wrinkles. It won’t settle into fine lines or pores, and never looks cakey. It comes with a velour puff to help create that perfect, soft-focus, matte finish. Velour Lovers Lip Color is a revolution in matte lipstick that couples delicate mattifying powders with moisturizing mango butter that creates a velvety texture that is smooth, creamy and long-wearing. It offers medium-to-high coverage with a satin-matte finish. Velour Extreme Matte Lipstick is a modern matte lipstick so seductive in color, touch and texture that the sensation is irresistible. Mattifying powders and silky conditioners envelops your lips in the softness and comfort and velour. It provides intense color with a dramatic matte finish. These high-shine, perfectly pigmented glosses deliver rich, long-lasting color and brilliant shine that creates the appearance of fuller lips. Any skin tone is virtually enhanced by creating a subtle contrast in texture. With the unique blend of moisturizing, anti-aging, antioxidant and plumping ingredients provided by the Laura Mercier Lip Complex, the non-sticky gloss applies smoothly without feathering or bleeding. Lip Glacé is a high-shine, perfectly pigmented lip gloss with rich, long-lasting color and brilliant shine that creates the appearance of fuller lips. Any skin tone is virtually enhanced by creating a subtle contrast in texture, and it applies smoothly without feathering or bleeding. Velour Lovers Lip Color is a revolution in matte lipstick that couples delicate, mattifying powders with moisturizing mango butter that creates a velvety texture that is smooth, creamy and long-wearing. The Lip Pencil is a perfectly textured lip pencil designed to outline, define and enhance the natural shape of your lips, and is firm enough to draw a precise, thin line yet is soft enough to blend. Professional makeup artists know that the right tools make all the difference. The perfect look begins with the perfect brushes. 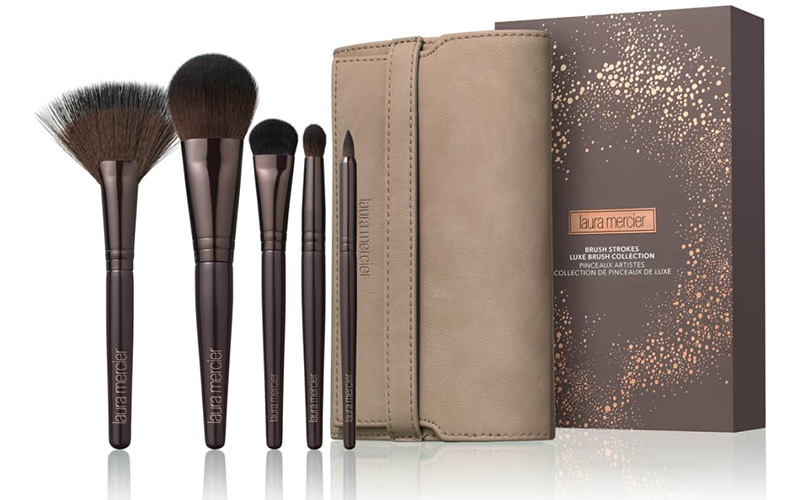 This collection has all you need to sculpt, highlight, contour and define. True artistry at its most luxurious. These multitasking eyeshadow sticks deliver both easy application and long-lasting, high-definition color. Long-wearing, transfer-resistant and crease-resistant, the color glides seamlessly onto lids and blends and layers beautifully with a rich pigment payoff. 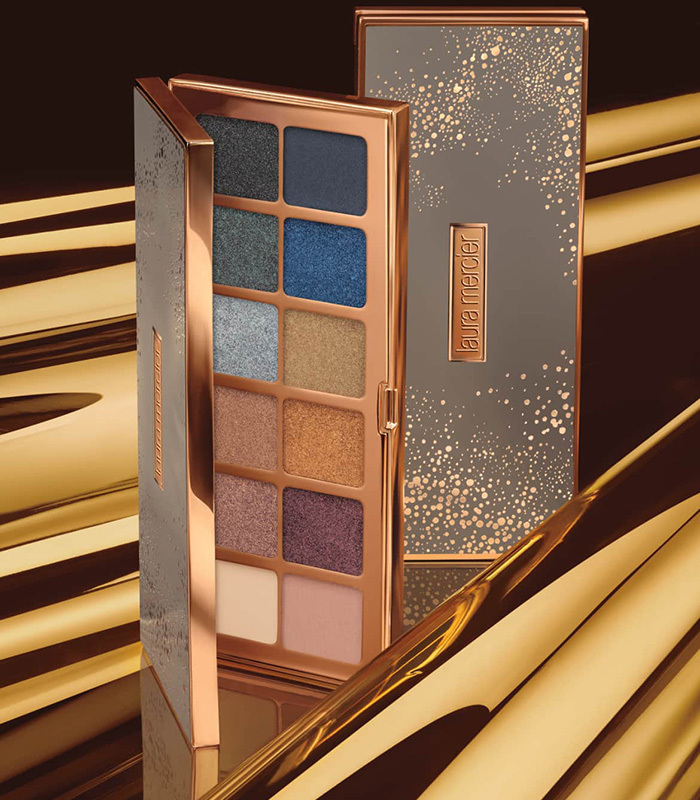 This collection features a myriad of shades and finishes to deliver endless options for effortlessly beautiful eyes that stand out day and night. Translucent Loose Setting Powder is a silky, lightweight setting powder with sheer coverage and goes on easily with the included velour puff. Foundation Primer in Radiance is a luminous powder that delivers a radiant look and flawless makeup application, and best suits light-to-medium skin tones. Matte Radiance Baked Powder is an ultra-smooth baked face powder that provides natural color with a soft, matte radiance, and a fan brush picks up and softly applies product onto the skin for a flawless application. Soufflé Body Crème instantly nourishes your skin with its silky, lightly whipped texture and unique scents. It enriches the skin with vitamins A, C and E derivatives, while grapeseed and rice bran oil condition and vanilla extract and honey offer soothing benefits. Sweet almond and hydrolyzed rice proteins, along with provitamin B5 provide moisture balance and protection. Honey Bath creates a decadent foaming experience in the bath. Thick, rich bubbles leave your skin supple and your senses calm and relaxed, while shea butter and vanilla extracts leave skin velvety soft. 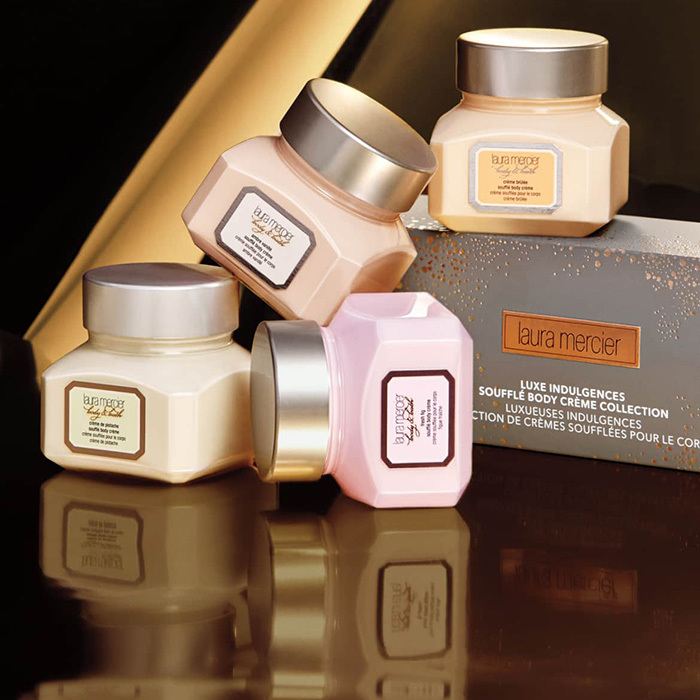 Just as milk nourishes your body, the key ingredients in Laura Mercier’s Soufflé Body Crème instantly nourish your skin. The silky smooth creme, with its lightly whipped texture and delicious Ambre Vanillè scent, enriches skin with much-deserved vitamin A, C and E derivatives. The body wash cleanses your skin, leaving it lightly fragrance. Carry the scent with you long after your bath ends with the eau de toilette. The nourishing creams leave hands feeling velvety soft with unique essences. Deeply moisturizing, they continue to nourish the hands well after they’re absorbed into the skin. The silky smooth crème, with its lightly whipped texture and delicious Almond Coconut Milk scent, enriches skin with much-deserved vitamin A, C and E derivatives. The body wash cleanses your skin, leaving it lightly fragrance. Carry the scent with you long after your bath ends with the eau de toilette. This clay mask is blended with the unique and soothing nourishing properties of a rose. The silky gel-crème treatment works overtime to improve skin’s moisture levels and improve skin’s overall radiance and health, too. Skin appears brighter, hydrated and more vibrant. How to use: Apply a generous layer onto cleansed skin and leave on for 10 minutes. Gently tissue off, massaging any residual product gently to infuse skin with moisture.